Sri Lanka has reportedly spent Rs. 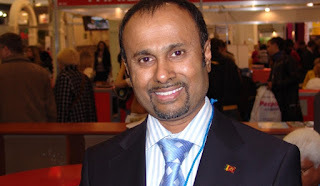 7,329,000 in connection with a case filed pertaining to the arrest of former Russian Ambassador Udayanga Weeratunge. It was revealed that this additional sum had been obtained by the Foreign Ministry through a supplementary estimate presented on September 20, last year. This amount was paid as attorney charges in the UAE. However, it is believed that the Foreign Ministry has spent more than this amount which has still not been disclosed. The allegations against Weeratunge who was serving as the Sri Lankan Ambassador to Russia at the time, was having engaged in international arms deals and his involvement in a scam during the purchase of MiG air crafts and murder charge. However, he has not been arrested so far and is evading arrest with political protection.